Every citizen of the United States is required to have a legitimate Social Security Number. This number, which essentially documents identification and fortifies citizenship, is administered through the Social Security Administration of the United States Federal Government. The SSA, has a specific process with fairly basic regulations attached for the Social Security Application associated with immigrants, temporary United States citizens, and refugees. The Social Security Application is necessary, for those immigrants interested in legally working in the United States. All immigrants who are at least 18 years old, regardless of occupation or particular situation, must apply for a Social Security card. The Social Security Application is a mandatory aspect of the visa process, and those who are applying must lawfully admit permanent residence. The term "lawfully admitted" simply means that all applicants must legally accord the ability to permanently reside in the country. Typically, because the information required is the same, the Social Security application is filed with the Visa Application is; this combined process saves time and if accepted, will award the Social Security card to the immigrant in a timely fashion. 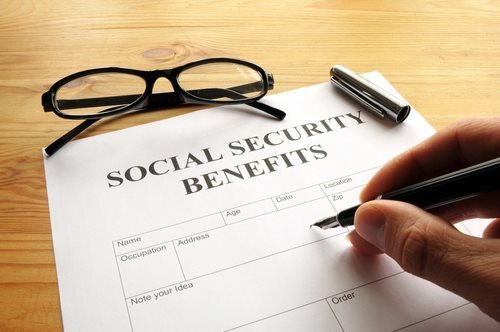 According to the procedural code of the Social Security Administration, a Social Security card is required for all citizens to work and receive government services or benefits in the United States. As a result, the Social Security application will only be accepted for those immigrants who are legally permitted to work in the country. This relationship works in harmonic sense, for the only reason why an immigrant will file a Social Security application is to legally work in the United States; government benefits and services are awarded to all individuals within the country regardless of status. The process associated with the Social Security application is fairly universal for all immigrants. The first step is to contact the Social Security Administration to obtain the Social Security application. The application can be obtained through a local government office or by accessing the Social Security Administration's website, which is located at: www.ssa.gov. Once the Social Security application has been obtained be sure to review the instructions (found on Form SS-5) for filing the application. The actual Social Security application is found on the 5th page of the Social Security packet. Once the basic information has been input, and the documents to verify identification have been gathered, the applicant must contact their local SSA office. A full list of all local branches can be obtained through the office locator feature on the government website or by contacting the SSA at 1-800-722-1213. When the office has been contacted, take the completed Social Security application to the appropriate location, where the documents will be reviewed and processed if accepted.